Made from gorgeous soft leather with a stainless steel ID tag this stunning bracelet is suitable for both men and women. Available in both black and brown leather, the ID tag is engraved with the actual hand or footprints of your loved one. 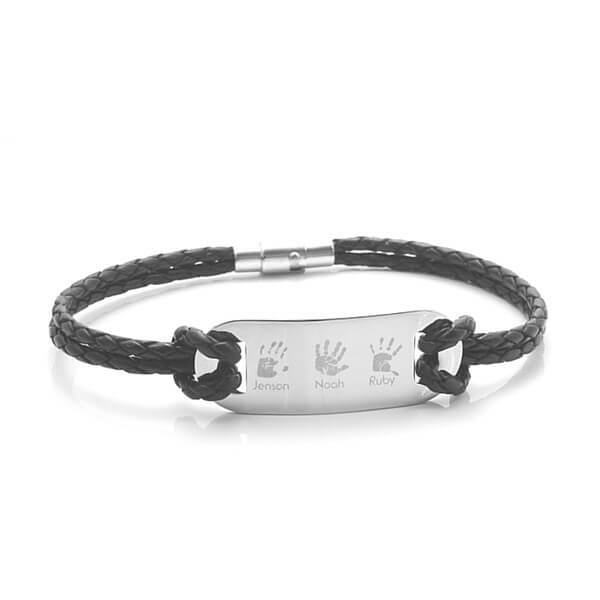 With space to feature up to three prints with accompanying names, this bracelet really does make a very special gift. 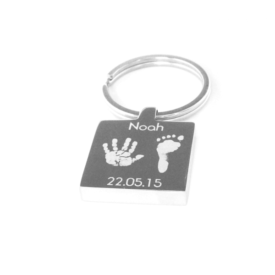 Option one: One Child: Hand OR footprint on front with accompanying name and/or date, with a personalised short message. 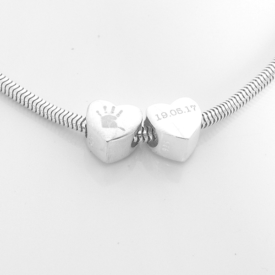 Option two: One Child: Hand AND footprint on front with accompanying name and/or date, with a personalised short message. 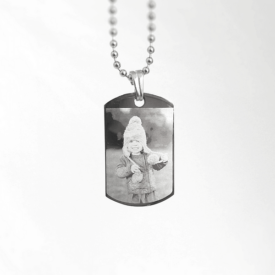 Option three: Two Children: Two hand OR footprints on front with accompanying names and personalised short message. 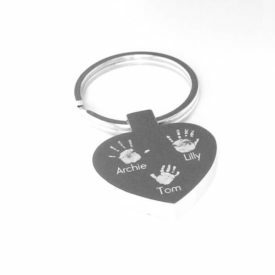 Option four: Three Children: Three hand OR footprints on front with accompanying names and personalised short message.